I cannot believe how quickly fall has flown! We've gone from leaves turning bright colors to frigid temperatures, and Thanksgiving is only about a week away. My Health Activist Fellowship with the Jewish Healthcare Foundation is also coming to a close, so I wanted to give you all an update on what I've been working on. When I first talked about my Fellowship here, I wasn't really sure what it would be like, or what I'd choose to work on. The Fellowship has been amazing - the Jewish Healthcare Foundation has helped connect us with mentors for our specific projects, and has also brought in influential speakers who are experienced in many different aspects of activism. We were advised to think big, but start small. It's great to have a big-picture idea of what you what your journey as an activist to look like, but you should start with a small, achievable step to get things started. My big-picture idea is to make the world more accessible to people with disabilities of any type. For my first step, though, I knew I needed to start smaller. I want to focus on Pittsburgh - the city I live in and love! And as a 28-year-old, I want to have a thriving social life, and be able to go out to a local boutique, bar, or restaurant without any concerns (other than my bank balance!). So I am focusing my project on making these buildings more accessible, for both old and new construction. I'm calling my project Accessible YOUniverse. I'd love for you to hear more about my project, and where I envision it going in the future! 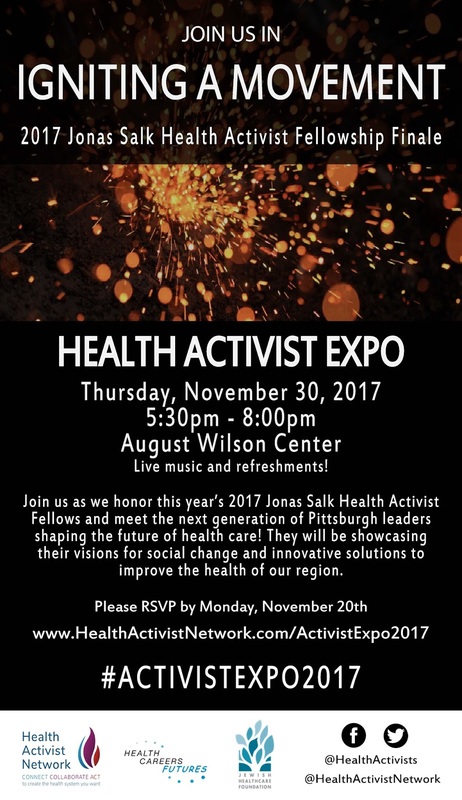 The Fellowship is holding a Finale, open to the public, on November 30 from 5:30 - 8 PM at the August Wilson Center downtown. If you're free and in the area, stop by and hear about my project and the other great projects the rest of the Fellows have been working hard on! You can RSVP here, and e-mail me here or leave a comment with any questions.